Obituary for Nancy White | Carter Funeral Homes, Inc.
Nancy M. White, 61, of Elyria passed away unexpectedly Thursday, March 28, 2019 at University Hospitals of Elyria. Nancy was born and raised in Elyria. She graduated from Elyria High School in 1975. Having spent her entire life in this area, she made lifelong friendships that will forever be remembered. 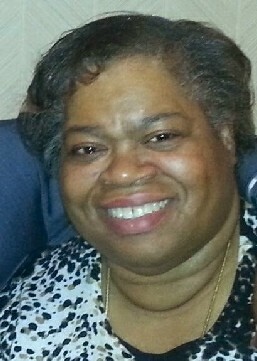 Ms. White worked as an LPN for over thirty years at Avon Oaks Caring Community. She loved her coworkers dearly and considered many of them to be a part of her family. Nancy enjoyed watching basketball, spending time with her family, and giving a helping hand to any and everyone that she could. All of her loved ones would agree that this world will no longer be the same without Nancy’s smile to lighten up every room. Ms. White will be especially missed by her two grandsons, Amari and Tameron. Nancy White is survived by Siblings: Cleophus “Bob” White, Richard White, Pamela Harris, and Shavella White; Daughter: Nikki Charley; Nephew: Demetrius Graham Jr; Grandchildren: Amari Taylor and Tameron Charley, and a host of other nieces, nephews and cousins. Nancy is preceded in death by her mother, Frances Harris; Father, Cleophus White; Brother, Terri White; Sisters: Cynthia White, and Crystal Fullilove. Family and friends may call on Friday April 5, 2019 from 11:00 a.m. until time of Service at (12:00 p.m.) noon at Carter Funeral Home Chapel, 127 W. Bridge Street, Elyria, OH 44035. Please join the family for food and refreshments at 1:30 p.m. at Community of Faith Church, 9715 E. River Rd, Elyria, OH 44035.